Atlas Research is among the finalists for the Northern Virginia Chamber of Commerce and Professional Services Council’s annual Greater Washington Government Contractor Awards in the Contractor of the Year category for companies between $25 million and $75 million. The winners will be announced at an awards program Nov. 5. 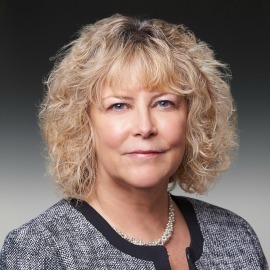 WashingtonExec spoke with President and CEO Robin Portman about Atlas Research’s gains, growth plans and upcoming challenges. Portman: Our extraordinary Atlas Research team will continue to focus our growth in our key service lines: research and evaluation, our digital and analytics offerings, human capital and learning, innovation and modernization, organizational performance excellence, and marketing insights and digital media strategy. We will broaden our base of business with our current clients in the departments of Veterans Affairs and Health and Human Services to other government agencies who seek to modernize, improve or transform their service delivery. We continue to seek out and cultivate professionals who are passionate about the work we do and excited about the opportunity to help make a meaningful impact on the priority populations we serve. We will stay true to our mission to support priority populations and improve the lives of the citizens our nation’s government serves. Portman: Atlas has an established reputation in the federal marketplace as a sought-after and trusted partner. We’re known for delivering results on high-stakes organizational transformation and performance improvement initiatives. Clients can count on us to work quickly and aim high, applying analytic rigor and proven methodologies to develop effective solutions that last. They know we have a deep understanding of their biggest issues and we don’t shy away from challenging situations. WashingtonExec: What is the fastest-growing component of your business? Portman: Our research and evaluation roots run deep, and they form the foundation of the kind of company we are. We’re experts at developing new insights from existing research findings, as well as establishing new bodies of focused knowledge. Our adept and rigorous approach helps our clients design and implement effective programs, so they can succeed in their core missions. Our ability to link our digital and analytics experience with our research and evaluation capability has brought us substantial growth. Additionally, our offerings in innovation, modernization and transformation have also seen tremendous opportunity and growth. We are finding that many of our clients delivering missions in the health space especially have great need to staying on top of and integrate new ideas and technologies in an agile environment. These types of challenges sit squarely in our strike zone. Portman: 2017 was a breakthrough year for Atlas. We partnered with important new clients and renewed milestone contracts with existing clients. In the health care realm alone, we helped clients with initiatives to effectively address the opioid epidemic and mental health issues, disseminate health innovations, and assess health risks for underserved populations. Beyond those successes, we leveraged our risk management and human capital expertise to secure contracts with the National Science Foundation and the Department of Defense’s Center for Defense Security Excellence. We are leading groundbreaking work at the VA to modernize the enterprise and also to drive an innovation ecosystem to help take the agency into the future. Portman: We have always had a deep commitment to our clients and to engaging our employees in applying their expertise to solve industry challenges. Over the past year, we increased our effort to help our clients with innovation and supported our actions with an internal initiative to digitize our service delivery. We added capabilities in emerging areas that are important to our clients and strengthened our leadership team to maximize our speed, agility and commitment to overdelivering for our clients. WashingtonExec: What are the largest challenges your business will face in the next five years? Portman: Our client base includes health services, social services, national defense, and research and we see increasing complexity, higher expectations and legacy processes that can’t keep up with the demand for immediate results and instant access. The healthcare industry, in particular, is facing pressure in terms of mental health, opioid addiction, sustainable health business models, serving the underserved, and veterans’ health issues — just to name a few. Our biggest challenge as a company will be effectively addressing our clients’ challenges, such as staying up-to-date, exploring, and integrating new ideas, technologies and innovations — and doing it quickly. WashingtonExec: How’s your business involved in the community? Portman: Community engagement is a fundamental component of Atlas’ corporate character. As an organization, we are committed to helping underserved populations, and that commitment doesn’t end when we leave the office. The organizations and programs we support and volunteer with are dedicated to alleviating health disparities and making a lasting difference in the lives of veterans. One example is the Easter Seals organization, which supports veterans and people with disabilities, so they can face personal adversity, such as mental health challenges. Community engagement is at the core of what we do and who we are as a company, so we engage with organizations with similar missions in our local communities and nationwide.